Get a modern, fresh look for your walls in next to no time with the Modern Tile effect range of PVC decorative cladding from PROPANEL®. 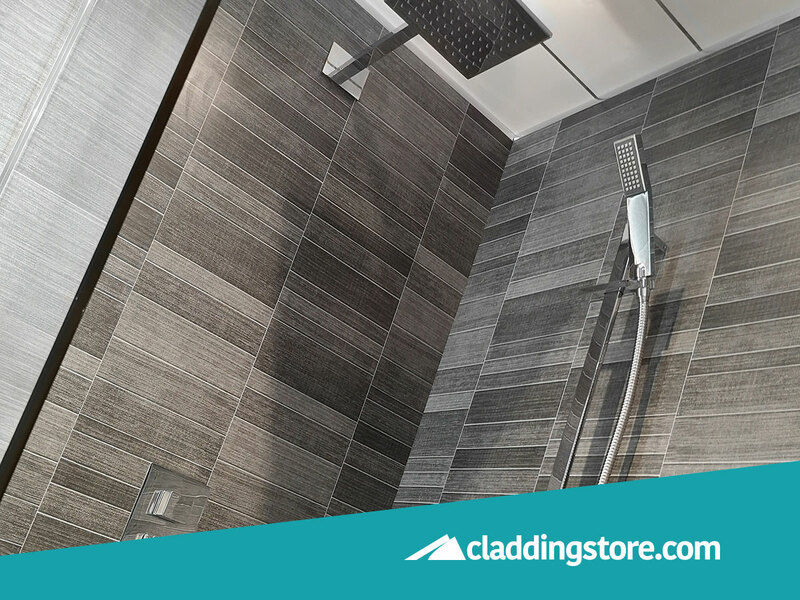 The Modern Tile effect range – which includes the Large Modern Tile Graphite Grey panel – gives you the options to mix and match your wall patterns. 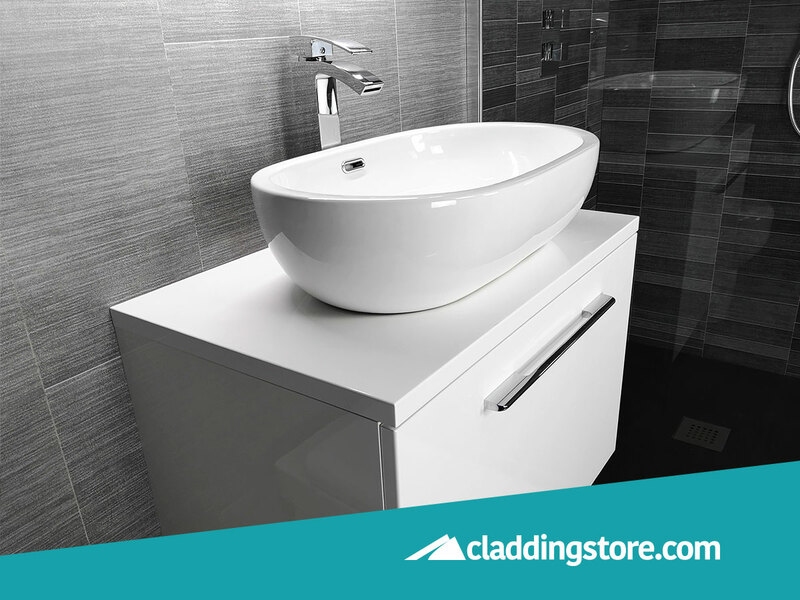 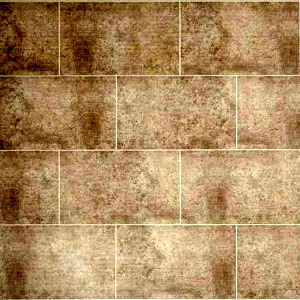 Get the look of tiling without the negatives of traditionally installed tiles. 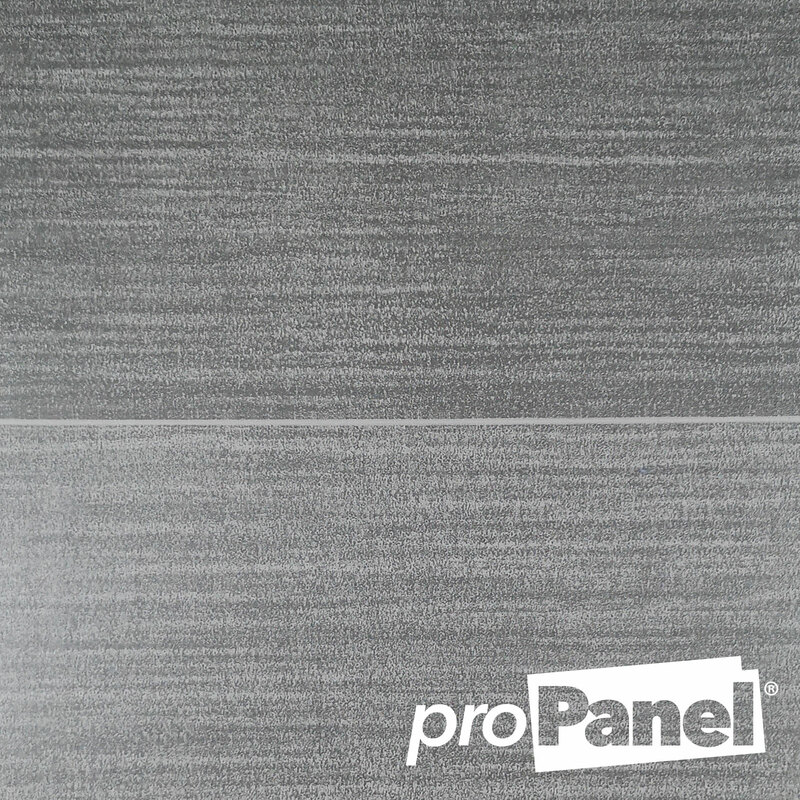 The Graphite Grey Large Tile looks great as a primary panel across a set of feature walls with the large tile design and beautiful graphite tones throughout the tiles. 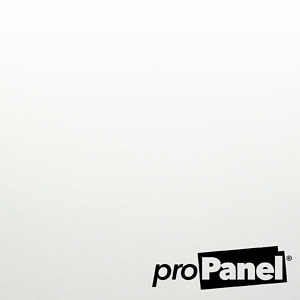 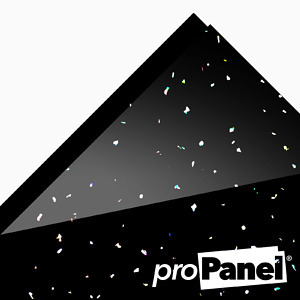 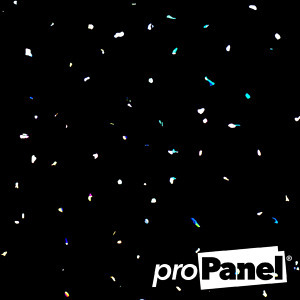 With a matte finish to the panel, it comes in an 8mm thickness for extra strength and insulation. The Graphite Grey Large Tile can be paired well with the alternative panels within the Modern Tile range such as the Anthracite Small Tile, Graphite Small Tile and Anthracite Large Tile to provide a good looking contrast. Install the Graphite Large Tile around your room and create a feature wall within your shower enclosure or behind your bath with the Anthracite Small Tile to give both a contrast in tile size and colour. Alternatively maybe you might like to have an individual strip of small tile behind each his and her’s basins contrasted with the Graphite Large Tile. 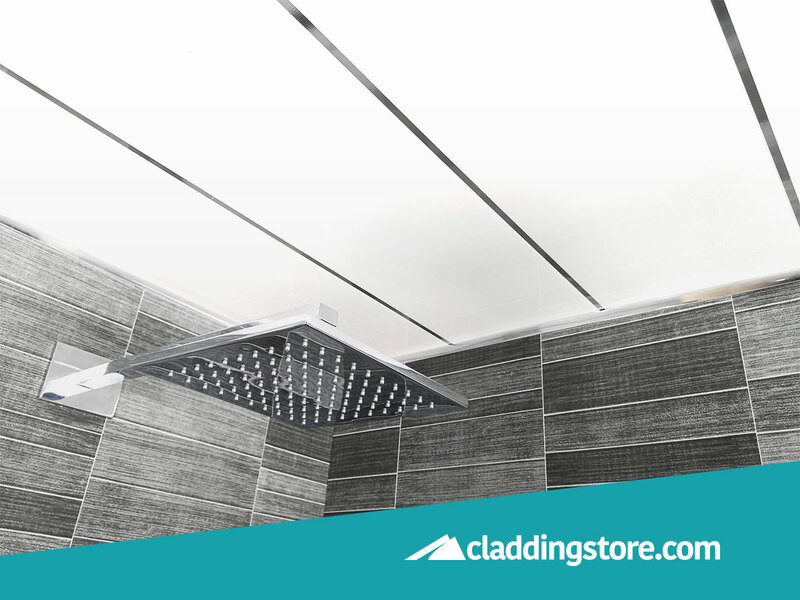 The choice is entirely yours with the Modern Tile range from PROPANEL®. 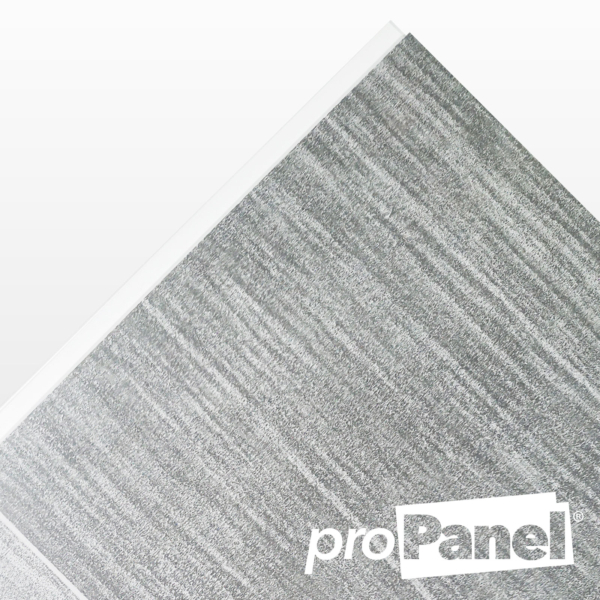 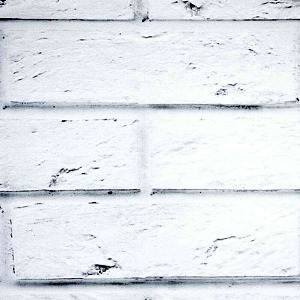 To install the Graphite Large Tile to your wall, cut and apply suitable grab adhesive to the rear of the panel and stick to an even surfaced wall, even over existing tiles!